Insomnia can turn a normal, happy life into a waking nightmare. We’re not tired enough to sleep at night and too tired to get anything done during the day. Peeking at the list of causes below might reveal a simple, fixable culprit. Insomnia wears many masks. Some sufferers have trouble falling asleep while others drop off right away only to bounce up at 2 am. It makes us irritable enough to bite off loved ones’ heads. It leaves us tired, anxious and depressed. 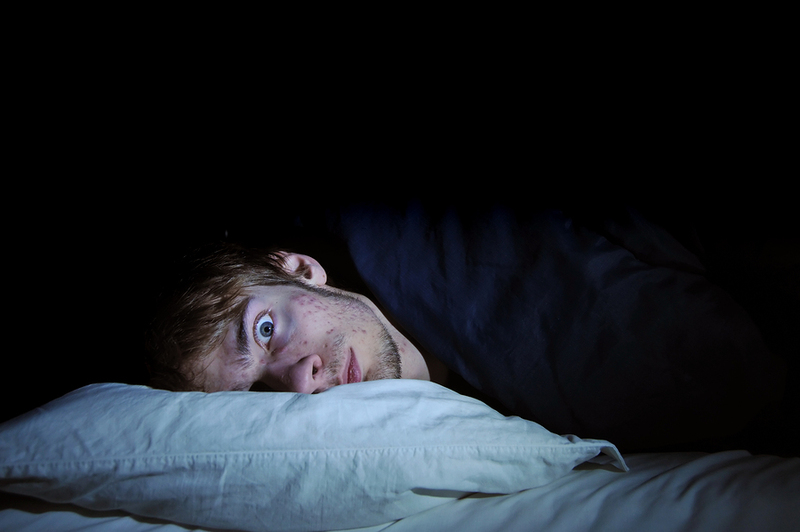 So what makes insomnia tick? In some cases stress is lurking in the wings. In others, diet or bad habits. Medications, medical conditions and aging can also lend a hand. Weapons in the war against the sleep-stealing sickness are changes in diet, daily habits and strategies to manage worry. Do Midnight Snacks Help Cure Insomnia? Midnight snacks definitely don’t cure insomnia. In fact the opposite is true. Eating late wakes up the digestive system and that can jazzercize your brain. Drinking a lot of milk or water before bed creates a double whammy, waking us when the bladder alarm begins to clang. Late eating turns the insomnia crankshaft especially hard in those with heartburn troubles. Lying down on a full stomach gives GERD victims a nighttime case of the burbles. That’s enough to wake up any sleeper. Not tired? Get tired. Exercise can make us sleep longer and more soundly. According to the National Sleep Foundation, people who get at least 20 minutes a day of exercise sleep better. That means a better sleep and a more bright eyed, bushy-tailed feeling during the day. Exercise helps sleep the most when it’s done early. 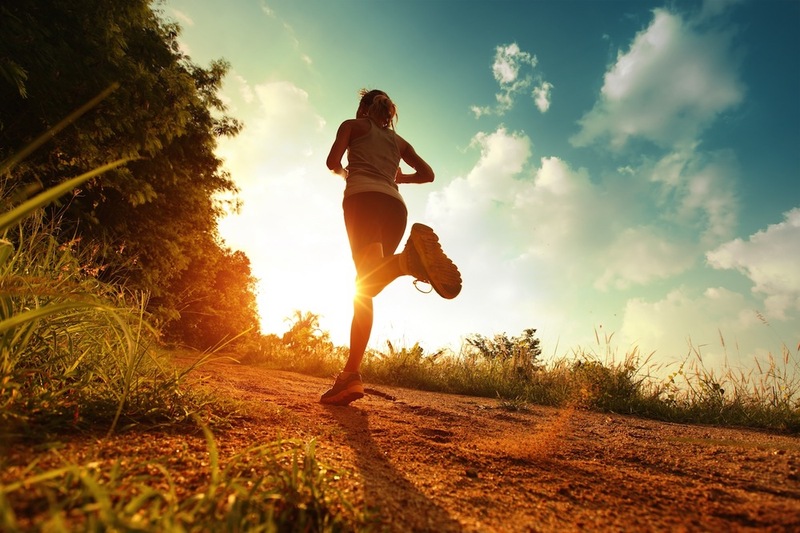 Nighttime workouts are a stimulant that actually works against our peaceful slumber. Don’t just exercise the body either. All kinds of activity promote sound sleep, including mental and social. So if you’re running five miles a day and still staring at the ceiling every night, you may need to get out more. Got depression and insomnia? Check out our guide to beat the blues with food here. To limit the effects of insomnia, eat well. What does that mean? Eat plenty of fruits, veggies and nuts. A diet rich in natural, non-processed foods delivers nutrients essential for a good night’s sleep, including magnesium, selenium, B-vitamins and omega-3’s. Cut out the coffee. This may go without saying, but caffeine stays in the body for six hours. It also lowers serotonin levels long-term. That means bye-bye shut-eye. No smoking. Nicotine is a stimulant. Studies show that users of it sleep more lightly thanks to middle-of-the-night withdrawal. Don’t drink your sleep. What, no alcohol either? Sadly, whiskey, beer and booze in all its forms throws a wet blanket on our sleepy time. Alcohol does make it easier to go to sleep, but there’s a price. Frequent drinkers can develop frequent wake-ups. Need to kick the caffeine? Check out our massive list of great alternatives to coffee here. A Sleep Schedule: the Best Insomnia Medication? One great “insomnia medication” may be as simple as crafting a sleep schedule and sticking to it. A consistent early bedtime and a hard-and-fast get-up can retrain a wonky circadian rhythm. To get on a sleep schedule, pick a bedtime and a wake-up time, then don’t deviate from them no matter what. The body doesn’t adjust to a new bedtime right away, so be patient. Picking a bedtime that uses natural light (from the sun, not from Anheuser-Busch) is best because we’ve evolved to wake with light. Shun the snooze button since it muddies-up the wake-up time. Screen time. Too much computer time or smartphone time at night can trick the body into thinking it is time to party. Put the screens away a couple hours before bedtime to get better sleep. Stress and worry. Gnawing on the fingernails all day is a terrible way to get some solid z’s at night. Stress management can mean exercise, yoga or meditation but it can be as simple as awareness. When we catch ourselves being carried away by worry, we can just ask, “Okay, what’s the next worry I’ll think about?” Thinking about the thinking often cancels it. Disease. Any illness that causes chronic pain or other suffering can also cause insomnia. Cancer, Alzheimer’s disease, migraines and allergies can all contribute to wide-open eyes. Aging. Some insomnia is natural. Quality of sleep deteriorates some with age. Napping. Avoid this like the slumber-robbing plague it is. Sleep during the day can mean less sleep at night. Afraid your sinus troubles are keeping you up at night? Learn how to battle them with food choices here.